Melloy Dodge: Come to Melloy and Get a Ram for the Road! Come to Melloy and Get a Ram for the Road! New Mexico loves Ram Trucks and Melloy Dodge loves New Mexico. At Melloy Dodge, we’ve been serving the needs of the Albuquerque community since 1955. That's what has made us the number one Dodge and Ram dealer in New Mexico. It is our honor to offer great deals on this line of Ram trucks. 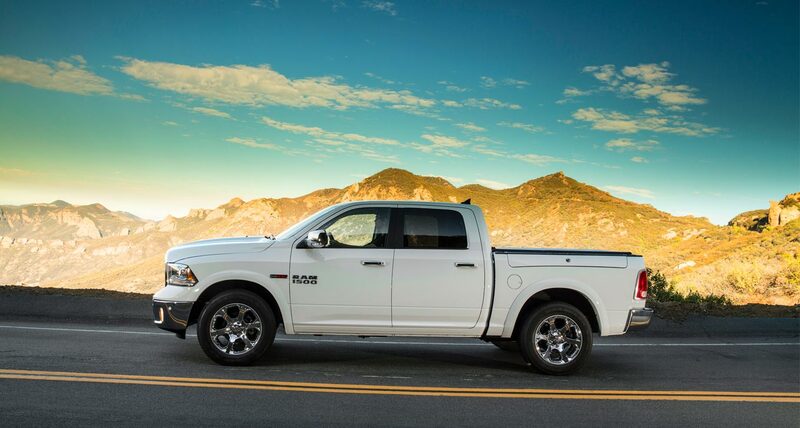 Ram trucks are more than tough: They have the comfort you need to keep working. Whether you have your eye on Ram 1500, Ram 2500, or even the one-ton Ram 3500, we have a great selection available today at the dealership. · The Ram 1500 HFE is a fuel miser with its high-output EcoDiesel V6 and an available, industry-exclusive 8-speed automatic transmission. The EPA rates the 1500 HFE at 29 MPG on the highway. · Ram 2500 ups the ante with a maximum towing weight of 17,980 pounds when equipped with the legendary Cummins turbodiesel. That’s what 800 lb-ft of torque can deliver. · For those who need to move mountains, there’s the Ram 3500. Heavy-duty equipment throughout and available dual-rear wheels give the 3500 the ability to tow up to 30,660 pounds, and carry a payload of up to 7,020 pounds. This truck also comes with a leather-wrapped steering wheel, power lumbar steering support, and a five-inch touch screen. At Melloy, we’re offering New Mexico great deals on the whole line of Rams, with zero-percent financing and cash back for qualified buyers. Contact us at Melloy today and get a Ram for the road! We’re within easy driving distance from Rio Rancho, Santa Fe, and Socorro. We’re ready to make you a deal on a new Ram no matter where you live.